This is unique Black Lantern Corps Inspired Enameled Cufflink. 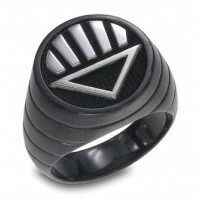 It's best good looking Black Lantern .. This is unique Sinestro Corps Inspired Cufflink. It's best good looking Sinestro Corps Inspired Cuff..